"He's on the downward spiral, he's averaging only 92, he's nine months from the end of a glittering career and he's going to bow out as the victim of this season's Judgement Day. 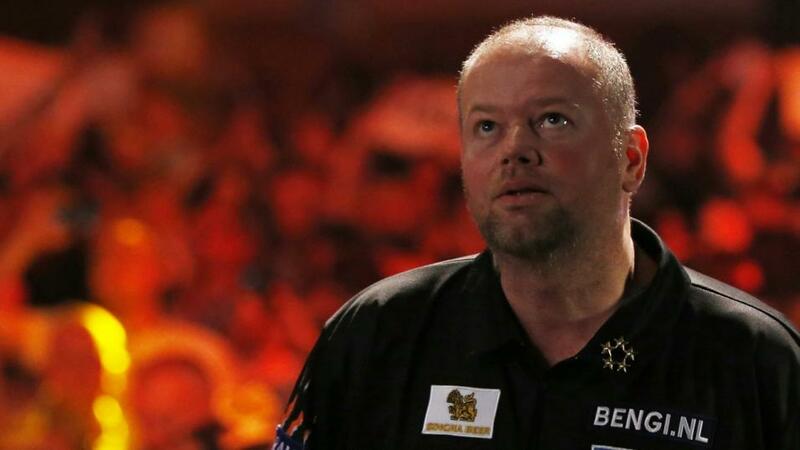 Already bottom of the pile and with a gap growing in the rest of the Premier League participants, Barney should be the first contender casualty this season." This is an intruguing match between 3rd and 4th in the Premier League, and two men that I tipped to win last week, and who didn't show up. James Wade, 'The Machine', was not in full working order against Mensur Suljovic last week after being in superb form in recent weeks. Suljovic took advantage to take the win 7-3, but Wade's performance has got to be viewed as a blip rather than anything more serious. Peter Wright on the other hand has been a disappointment. He's played decent darts, yet has thrown away winning positions too often for that to be viewed as unlucky. Against Daryl Gurney last week Snakebite averaged 102.91 to Gurney's 84.98. He outplayed his opponent and came away with a 6-6 draw that must have felt like a defeat. He's done exactly the same against Raymond van Barneveld and Michael Smith in this tournament. It makes him very hard to get behind, but equally tough to oppose. With the table so condensed there is everything to play for over the coming weeks, with only Barney losing touch in 9th place. The way these two are playing, it's a tough call to pick a winner. There have been nine draws from 30 games so far in the Premier League, so the bet on a 6-6 in this match is not the daftest in the world. I tipped Michael Smith to win this season's Premier League and have to admit I was beginning to think I'd called it ridiculously wrong. 'Bully Boy' has been under par in the early weeks and could use a good run to ensure he is part of the latter stages. He beat the contender Nathan Aspinall 7-2 last week, but wasn't pushed at all, averaging 93.99 and throwing just one maximum. Smith has a tough job on Thursday evening against dangerous Mensur Suljovic. The Austrian is nearly playing a home game and enjoys darts on German soil. He won the German Darts Masters last year. In last year's Premier League he averaged 107 as he beat Gerwyn Price 7-3 on the Berlin stage. 'The Gentle' won 7-3 against an out of sorts James Wade last week and is starting to look like he's taking this competition seriously. He averages 101.38 and hurled in six 180s in an impressive performance that makes him a serious contender in this one. Suljovic has won five of the last seven encounters with Smith. The crowd will be right behind Suljovic and so will my money. I mean no disrespect to the legend of darts that is Raymond van Barneveld when I say he shouldn't be part of this tournament. He's on the downward spiral, he's averaging only 92, he's nine months from the end of a glittering career and he's going to bow out as the victim of this season's Judgement Day. Already bottom of the pile and with a gap growing in the rest of the Premier League participants, Barney should be the first contender casualty this season. Local contender Max Hopp takes on the whipping boy Barney and had a real opportunity to send the German crowd home in full voice. The 22-year-old is a former German Darts Open champion and has shown he can handle the pressure and has the game to compete with the big boys. German-based darts fans don't get many chances to let their hair down on home soil and this could be a night for them to remember. The "love rat" revelations in the tabloids will surely have taken Barney's eyes even further off the oche and Hopp is an excellent player, capable of taking him down. There are no points up for grabs for the contenders, but Hopp has a real opportunity to take this huge opportunity on the big stage. If he can hold his nerve, he becomes a local hero.